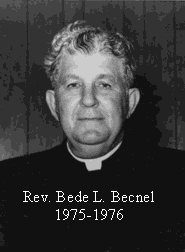 In early 1957, Father Raymond J. Gobeil, Pastor of Saint Joseph Church in Patterson, became acutely aware of the population growth taking place within the community of Bayou Vista. He considered the potential expansion of this community and realized that the families in this area were divided into his Parish of Saint Joseph and the Berwick Parish of Saint Stephen. He first began to ponder the need of a chapel-type facility in Bayou Vista where Mass could be said on Sundays and Holy Days and also catechism classes held for the children. Father called together some of the leading residents of Bayou Vista. A meeting was held on Tuesday, July 16, 1957; attending were: Mr. & Mrs. J. E. Magee, Hudson Babin, B. L. Como, Jr., Mr. & Mrs. Overton Barousse, Mr. & Mrs. J. N. Beaugh, Mrs. Smith Alpha, and Miss Joyce Barousse. It was decided at this meeting that 4.1 acres of property at Bayou Vista would be purchased at a cost of $8,252.00 for the purpose of building a chapel and that a $10.00 a plate dinner would be held to begin the fund-raising necessary to pay for the property. Also, Father Gobeil had all the members of his Parish, who lived in Bayou Vista to note this on their offertory envelopes, so that their money could also be used in the fund. On December 3, 1960, the 4. 1 acres of land were paid in full. 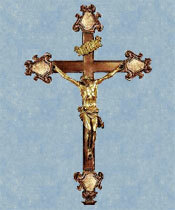 Over the next few years, fund raisers were held to raise money to fund the new chapel. 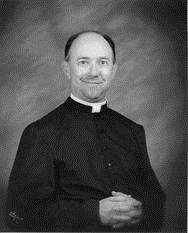 As time went on, Father Gobeil began to realize that the growth of the Bayou Vista area was now indicating the need of a separate parish, rather than just a chapel. He wrote to Bishop Maurice Schexnayder, and told him of his appraisal of the situation. 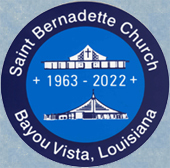 On April 20, 1963, Bishop Schexnayder officially established the Parish of Saint Bernadette and on June 15, 1963 appointed the first pastor, Father Albert J. Boumans. Father Boumans arrived in this area in May of 1963 and took up residence in Berwick at Saint Stephen rectory. 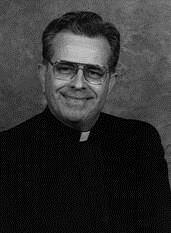 Father Boumans appointed the first trustees of Saint Bernadette Parish to be Dr. F. A. Russo and Mr. J. E. Magee. Father immediately called a meeting of all the men of the parish to decide on ways of raising the funds necessary to build a church and classrooms. The men began a canvassing campaign of all the Catholic families asking each to quote an amount that they could give. Father Boumans and the men of the parish reached a decision, based on the funds available and the promises of the parishioners, that they should set a budget of $100,000.00. A contract was signed on November 3, 1963 with the architectural firm of Lloyd Guillory, who designed the multi-purpose building, which now serves as the Parish Hall.The bids were let out on January 5, 1964 and the low bidder to receive the contract to build the multi-purpose building was James A. Eiland, Jr., Inc., for a bid of $127,900.00. The ground-breaking ceremonies were held on January 25, 1964 and the actual construction began in February 1964. By All Saints Day, November 1, 1964, the construction was completed and the first Mass was said. However, the actual dedication ceremonies were not held until June 20, 1965. 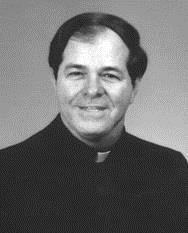 On this day, the church was dedicated by Bishop Warren Boudreaux, Auxillary Bishop of the Diocese of Lafayette and future Bishop of the Diocese of Houma-Thibodaux. 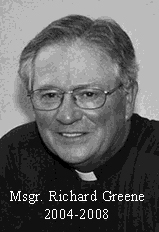 In early 1970, Father Boumans and the two Parish Trustees, Mrs. Elizabeth Russo who replaced her deceased husband and Mr. J. E. Magee, approached Bishop Schexnayder with plans to finally build a new, larger church and rectory which the Parish now needed . This time they believed a budget of $225,000.00 would be sufficient to serve this purpose. Bishop Schexnayder, after consulting with his advisors, declined because of the extremely high interest rates. 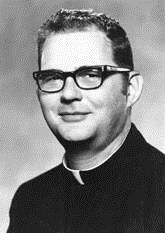 But when he visited the parish for Confirmation in 1971, he gave Father Boumans permission to proceed. At this time, the old church debt was paid off and the interest rates were more favorable. In May, 1971, the men of the parish again began a door-to-door campaign asking all the Catholic families of the parish to increase their offertory donations. This proved to be a remarkably successful endeavor and yielded a 40% increase. It was decided that the Parish Council, which consisted of J. E. Magee, Mrs. Elizabeth Russo, Murray Duval, Howard Simon, Emmett Sellers, Russell Hebert, Ronald Coleman, Alvin Legendre, Lester Waguespack, and Rodney Duplantis, would serve as the Building Committee. On June 30, 1971, bids for the construction of the new church and rectory were opened, and the contract was awarded to the Fangue Brothers of Morgan City at a total price of $268,836.00. 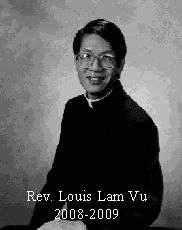 Ground-breaking ceremonies were held on Sunday, July 25, 1971 after the ten o*clock Mass. 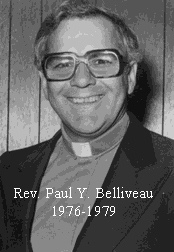 On July 17, 1972, Father Boumans (after residing almost eight years in two small classrooms in the original church) moved into the new Parish Rectory. By August 5, 1972, construction was completed and the first Mass was celebrated in the new Saint Bernadette Church. The Dedication Ceremony was held on August 27, 1972 with Bishop Maurice Schexnayder presiding and Mass concelebrated by Father Boumans and members of his ordination class. Now stands the golden spire in the center of the Bayou Vista community, capped by the cross which proclaims Christianity over its inhabitants. An edifice which stands to symbolize man's determination to display reverence to the one true God, and to exemplify the example of Christ, that men stand together, as brothers and sisters, in a common bond. 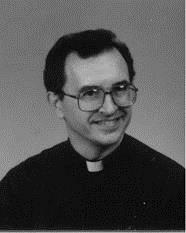 The first trustees of Saint Bernadette were Dr. F. A. Russo and Mr. J. E. Magee. Mrs. Elizabeth Russo replaced her husband as trustee upon his death. Mr. Frank M. Lambert was then appointed trustee upon the death of Mrs. Russo. Mr. Joseph Beaugh then replaced Mr. Lambert and Mr. Lester Waguespack Sr. eventually replaced Mr. J. E. Magee. At this time, the 2009 Parish Pastoral Council members are: Father William Rogalla, Pastor; Mr. Herbert Adams and Mrs. Judy Brannon, Trustees; Kenny Alfred, Judy Alfred, Anaise Rachal, Jerri Guillot, L.P. Lipari, Robert Richard, Cathy Dupre, Mynette Zimmer. Since 1980, Directors of Religious Education have been: Ellen Gray 1980-82, David Roth 1982-84, Bill Melancon 1984-86, Rene Dorsey 1986-89, Susan Legendre 1989-2000, Becky Blanchard & Kathy Dupre 2001-2002. Religious Education is presently administered by Becky Blanchard.